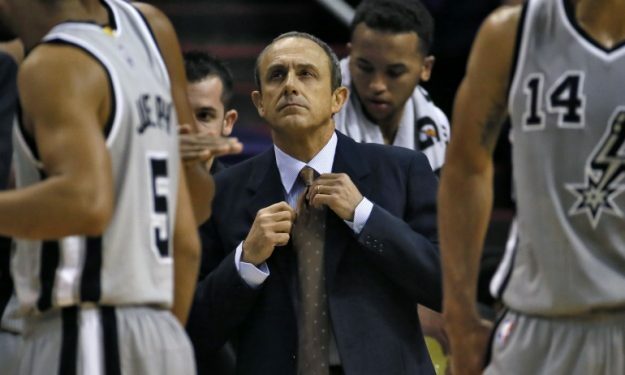 Will Ettore Messina get the head coaching job he deserves in the NBA? The question will be answered in less than two weeks. According to ‘TSN‘, the Toronto Raptors after firing head coach Dwane Casey and interviewing many assistant coaches for the coaching job, have narrowed it down to two choices. As Josh Lewenberg reports, the Canadian team is looking deeper into San Antonio Spurs‘ assistant coach Ettore Messina, and Raptors‘ assistant Nick Nurse. As ‘TSN’ states, the decision will be made this week or next. Ettore Messina made a really strong impression to the Raptors in an interview they had last month, and on Thursday had a second interview about the potential coaching job. On the other hand, Nurse has NBA experience as well as international coaching background, as he has spent more than a decade in Europe, coaching in the United Kingdom. Finally, the Toronto Raptors also had a meeting with the head coach of Zalgiris Kaunas Sarunas Jasikevicius, Rex Kalamian, Jerry Stackhouse (joined the Grizzlies as an assistant coach), as well as Spurs assistant Ime Udoka.